In the Sate of West Bengal, India there are many places to visit. Darjeeling is one of them. This place is very beautiful place for outing. Darjeeling is also known as Land of the Thunder Dragon. There are many places to visit in and near Darjeeling. The altitude of the place is 2042.16 mt. This place is famous for Hill Station. Nepali, Bengali, Hindi and English langusges are used in this place. The ideal duration of this place is 2-3 days. 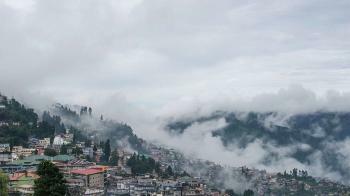 Darjeeling is one of the most visited destinations in the state of West Bengal. Darjeeling has always been famous as Himalayan hill station and it was historically fought over by both Nepal and Sikkim. It was the British Raj that took over the region and hence Darjeeling became a part of India. Darjeeling is the best tourist destination place and Hill Station. The hill station is quite popular for shopping as well. There are many visitors come in every year. The name Darjeeling comes from the Tibetan word Dorje, which means Thunderbolt Sceptre of the Hindu deity Indra and ling, a place or land. In the State of West Bengal, India there are many places to visit. Padmaja Naidu Himalayan Zoological Park is one of them. This park is located in the town of Darjeeling. The altitude of this places is 7000 ft. This park is largest altitude zoo in India. This park covers an area of 67.56 acres. There are many places to visit in the park. Many visitors come in this park every year. There are many attractions in this park. The park is named after Padmaja Naidu daughter of Sarojini Naidu. The zoo was established in the year of 1958. The national park is good for Nature Lovers, Experience Seekers and Photo Fanatics. The ideal duration of this place is 3-4 hours. The zoo is enriched with Asiatic black bear, barking deer, leopards, blue and yellow Macaw, Eastern Pangolin, Pheasant, Himalayan Monal, Himalayan Wolf, Lady Amherst, Leopard Cat, Macaw, Red Jungle Fowl, Red Panda, Royal Bengal Tiger, Sambar Deer, Temminck's Tragopan, Yak etc. You can see different kinds of birds inside including Rose Ring Parakeets, Hill Mynas, Ring Necked Pheasants, Blue Gold Macaw etc. There are over 200 species of trees & plants, shrubs, climbers, medicinal plants etc. found in this park. 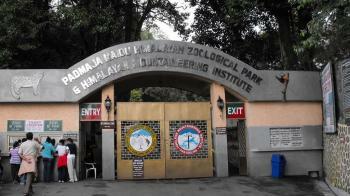 This park is also known as Darjeeling Zoo. The National Park got its name from one of the mangrove plant known as "Sundari". Sundarbans National Park is located at the South Eastern Paraganas district in the state of West Bengal. The park is also a Tiger Reserve and the Biosphere Reserve in West Bengal. The park is part of the sundarbans on Gangas delta and is adjacent to the Sundarban Reserve Forest. The delta is densly covered with the mangrove forest and is one of the largest reserves for the Bengal Tiger. The park is home for variety of bird, reptile, including salt water crocodile. 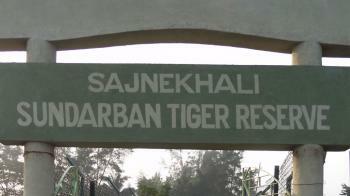 The present park was declared as the core area of Sundarban Tiger Reserve in 1973 and a wildlife sanctuary in 1977. The park was declared as the National Park on May 4,1984. The Principal Chief of Forest(PCCF), Wildlife & Bio-Diversity & ex-officiol Chief Wildlife Warden, West Bengal is the senior most executive officer looking over the administration of the park. Rangr forest officer divided the park into two ranges and the each range is divided into beats. 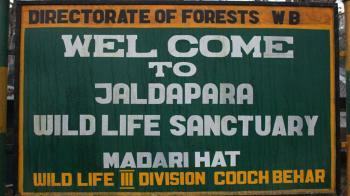 Jaldapara National Park is situated at the foothills of Eastern Himalayas on the banks of Toras rivers in the West Bengal state at an altitude of 61 m and covering an area about 216.51 sq km of vast grassland with patches of riverine forests. Now it has the largest population of the one horned Indian Rhinoceros, an animal threatened with extinction in the state and is Habitat Mangement Area. History In the early 18 Century the place was as " Totapar " , as the Toto tribes and Mech Tribes used to stay in this area. In the year 1941, the park was declared as the sanctuary for protecting the great variety of flora and fauna. The park was declared as the National Park in May 2012.